The sartorius attaches from the ASIS to the pes anserine tendon at the proximal anteromedial tibia. 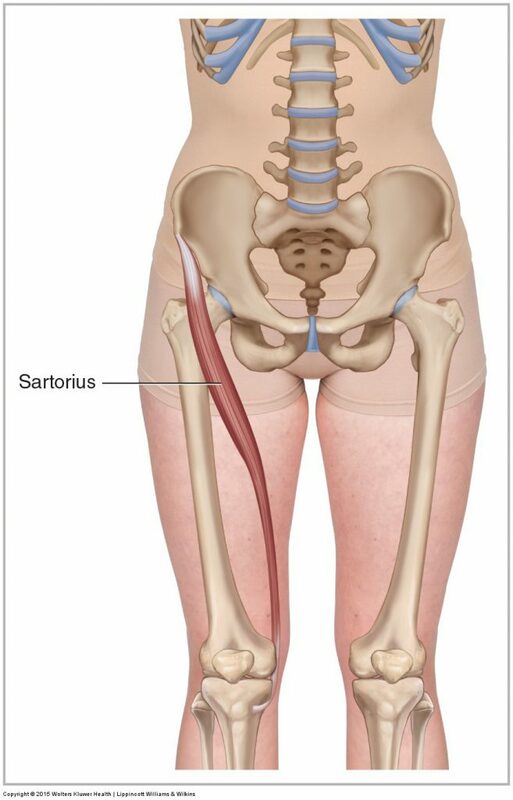 The sartorius flexes, abducts, and laterally rotates the thigh at the hip joint. It anteriorly tilts, depresses, and contralaterally rotates the same-side pelvis at the hip joint. It also flexes the leg (and/or thigh) at the knee joint. The sartorius is the longest muscle in the human body. It crosses the hip joint anteriorly but crosses the knee joint posteriorly. It is nicknamed “the tailor muscle” (sartorius means tailor in Latin).